About Accommodative Orthotics | Marathon Orthotics, Inc.
Did you know that accommodative orthotics are not only prescribed for diabetics? In fact, they are an extremely comfortable and versatile solution for many patients. 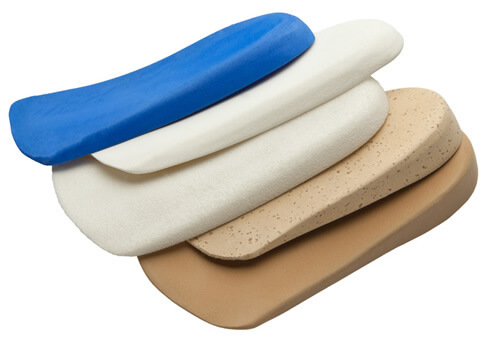 Marathon Orthotics, Inc. has been making various types of accommodative orthotics for many of the same pathologies for which functional orthotics are typically prescribed. Many Orthotists, Prosthetists, and Pedorthists have successfully used them for years to treat patients with Plantar Fasciitis, Posterior Tibial Tendon Dysfunction (PTTD), Excessive Pronation and for off-loading any area of the foot. Choosing an orthotic laboratory with the experience to make these accommodative orthotics properly is crucial. Of course, Marathon Orthotics, Inc. also makes a number of very comprehensive diabetic orthotics. These range from the very durable (for the active or heavy patient) to the very soft. Our lab technicians are also experts at crafting orthotics for Charcot deformities, trans-metatarsal and toe amputations.